CalOptima is a health service provider of Orange County, California. We were tasked with the launch of their OneCare Connect program, targeting a multicultural, senior audience. The key benefit of the program was the integration of all of the members' MediCal and Medicaid benefits into a single, simplified plan. At the time, most of the creative for senior-targeted health advertising consisted of stock images of doctors in white coats, corny senior portraits, overly-excited, jumping seniors, and other age-related clichés. We wanted to break through the clutter with a simple, non-lifestyle campaign, with a clear big idea. 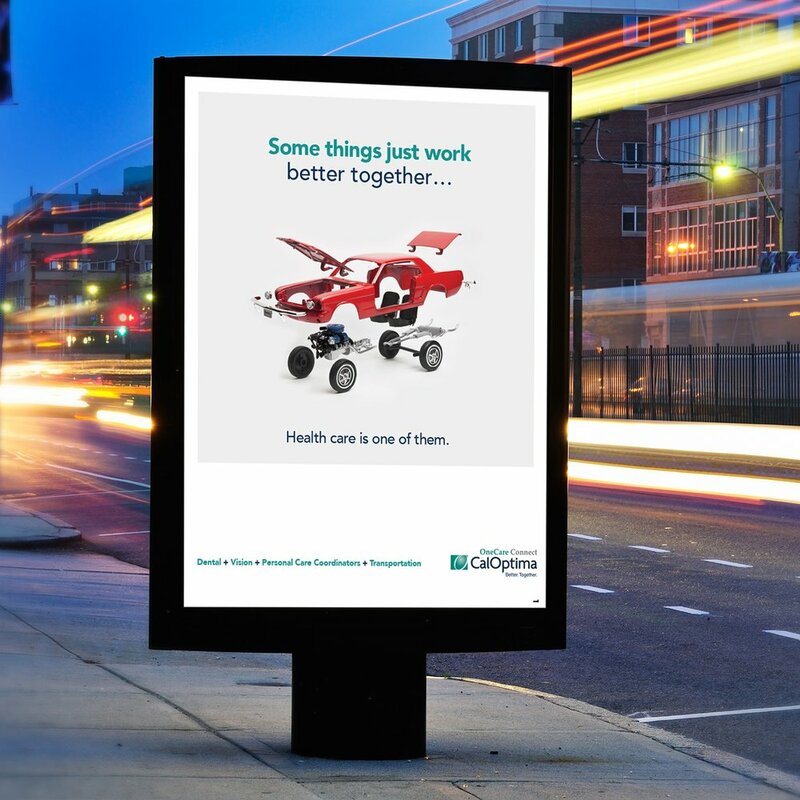 We used CalOptima's tagline, “Better together,” as the big idea. The campaign illustrated the absurdity of receiving healthcare benefits “in parts.” We featured everyday objects that had been taken apart to drive home the idea that indeed, some things just work better together. This simple message transcended cultural barriers and worked well in English, Spanish, Korean, and Vietnamese. Health care works better together.